Memory loss is one of the symptoms of hypocalcemia. The link between calcium and memory is further deepened by the common side effect of memory loss experienced by people who take antihypertensive drugs known as calcium channel blockers. Read on to learn how calcium deficiency causes memory loss and how calcium supplementation can enhance memory. Calcium is an essential mineral that is especially important for signal transmission between cells. In the central nervous system, calcium is required for nerve cells to release neurotransmitters and in the muscle cells, it promotes contraction. Calcium is also an important cofactor for many enzymes especially those involved in blood clotting. Most of the calcium found in the body is stored in the bones where the mineral is required for bone formation. The bone then releases calcium into the blood either as free ions or bound with proteins such as albumin. To avoid the depletion of the calcium store of bones, the parathyroid hormone regulates the rate at which it is released from bones, prevents its loss in the kidneys by prompting its reabsorption back into blood circulation, and increases the absorption of more calcium from the gut by activating vitamin D3. 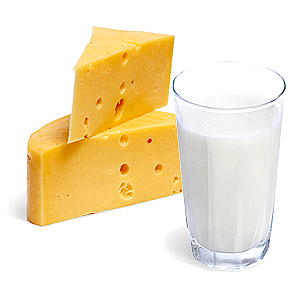 The richest dietary sources of calcium are milk and milk products such as cheese, ricotta, and yogurt. Other good sources of the mineral are seaweeds, hazelnut, almond, lentils, figs, wheat germ, eggs, flour, brown sugar, and orange. The recommended daily intake value of calcium varies with age. For children, the recommended daily calcium intake is 1000 mg per day or less. Adults can take 1000 – 1500 mg of calcium per day. When calcium levels go below the normal range, it causes a deficiency condition known as hypocalcemia. Calcium supplements are used to correct hypocalcemia. The expert recommendation is that calcium supplements should be taken with food. Also, no more than 600 mg of calcium should be taken at once. This is because calcium absorption actually reduces as the amount of calcium available for absorption increases. Vitamin D may be added to calcium supplementation to improve the absorption of the mineral. Various salts of calcium are used to make calcium supplements. 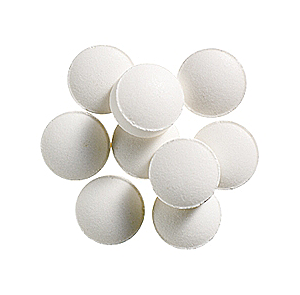 Even antacids which contain calcium carbonate qualifies as calcium supplement. Other salts include calcium carbonate, calcium lactate, calcium phosphate, calcium malate, calcium fumarate and calcium aspartate. Hypocalcemia is an electrolyte imbalance resulting from low serum levels of calcium. Hypocalcemia is diagnosed when the unbound calcium level in the body falls below 1.1 mmol/L. Major causes of hypocalcemia include parathyroid hormone deficiency, vitamin D deficiency as well as high and low magnesium levels. The symptoms of hypocalcemia include convulsion, abnormal heart rate, muscle cramps, twitching, and seizure. Low calcium levels also cause damage to the nervous system. When it impacts the central nervous system, it causes memory loss while it causes nerve damage (seen as numbness and other abnormal skin sensations like itching and burning) in the peripheral nervous system. Calcium is especially important for signal transduction in cells. For this reason, it is sometimes called a second messenger. Coupled with the fact that calcium is necessary for neurons to release neurotransmitters in the brain, calcium plays an important role in the areas of the brain responsible for storing and retrieving memory. The best way to see what effects calcium has on memory is to study the memory loss that happens when calcium levels fall. 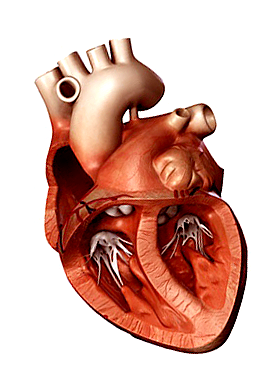 Calcium channel blockers make a class of drugs used to lower blood pressure. Although they have been used for a long time with considerable success, over the last few years, there have been increasing reports of long-term side effects of these drugs. Stomach bleeding and increased risk of cardiovascular diseases and some cancers are some of the serious side effects of long-term use of calcium channel blockers. However, brain damage and memory loss are now added to that list. In a surprise finding, a 1997 paper published in the Journal of American Geriatrics Society detailed the kind of damage calcium channel blockers do to the brain. This study was sponsored by the National Heart Lung and Blood Institute. It was initiated in 1989 and it involved almost 6000 elderly patients receiving calcium channel blockers. The brain damage caused by these drugs was first detected by MRI (magnetic resonance imaging) scans and confirmed by memory tests. In the MRI scan, the area of the brain damaged correlated to the parts of the brain known to be the seat of memory. The damage was described as white matter hyperintensity. The study also showed that both short-acting and long-acting calcium channel blockers caused memory loss. Similar reports of memory loss due to brain damage have been published for other drugs that lower calcium levels in the body. Another important class of drug known to cause this long-term damage belong to the class of diuretics called loop diuretics (Lasix belongs to this drug class). Another link between calcium and memory loss involves the plasma proteins (albumin is a prime example) that bind calcium in the body. Free, unbound calcium can be toxic to brain cells, therefore, high levels of calcium ions in the brain can also cause brain loss. In fact, when excess calcium ions enter cells, they kill off those cells. In the brain, the influx of calcium ions into nerve cells triggers the over-excitation of neural circuits. The amplified electrical stimulation destroys neurons. When this occurs in the memory seats of the brain, the resultant brain damage causes progressive memory loss. This mechanism contributes to cognitive decline due to aging. This is because as we grow older, the body produces less of the proteins that bind to calcium, and the number of free calcium ions that get into brain cells increase. The following discussion is only a summary of studies done on the link between calcium and memory loss. In a 2010 study published in the Pflugers Archiv European Journal of Physiology, the author linked calcium with the neurodegeneration that occurs during Alzheimer’s disease and the memory loss that results from it. This report identified the metabolites of beta amyloid protein precursor as the cause of learning deficits and memory loss. These metabolites act by influencing how calcium ions mediate the signal transduction. One way by which the metabolites act is by increasing the number of calcium ions in brain cells. The result is that the changes made in calcium-mediated signal transduction prevent the storage of new memories. While this study demonstrates that abnormally high levels of calcium ions in brain cells can cause memory loss, the next study underscores the importance of calcium to retention and retrieval of long-term memory. This 1999 study was published in the journal, Neuron. This study involved mice and studied the importance of calcium-mediated signal transduction in the hippocampus. The hippocampus is known to be one of the parts of the brains responsible for memory and learning. This study identifies the sequence of events needed for the preservation of long-term memory. It begins with calcium stimulating the release of two enzymes in the hippocampus. These enzymes are both adenylyl cyclases and they produce cAMP (cyclic adenosine monophosphate) which then powers the signaling mechanisms needed for forming long-term memories. A 2008 study published in The Journal of Neuroscience builds on the findings of the Neuron study. The researchers identified that calcium-mediated increase in cAMP levels is under the control of a transcription factor called CaMKIV (calcium/calmodulin-dependent protein kinase IV). By increasing the levels of CaMKIV in the hippocampus, the researchers were able to increase learning and enhance the storage of social and contextual memories in the mice used in the study. Since CaMKIV levels decline as we age, it is believed to be a major cause of age-related memory loss. By increasing CaMKIV levels, it is possible to reverse cognitive decline due to aging and enhance the ability to form long-term memory. Calcium supplements can only improve memory loss in people who suffer from hypocalcemia. For those who eat calcium-poor diets, over-the-counter calcium supplements may be of help at least to reverse hypocalcemia and improve memory. However, since calcium affects memory in ways beyond just increasing calcium levels in the brain, the gains of calcium supplementation may be moderate in reversing calcium loss. Definitely, there are other areas of calcium-dependent pathways to exploit to fully treat memory loss. People who have normal levels of calcium should not take up calcium supplementation to reverse memory loss. This is because abnormally high levels of calcium can be toxic to cells (both in the brain and the rest of the body). For the elderly, it seems that high calcium level rather than low calcium level is a stronger cause of memory loss and dementia symptoms. Therefore, calcium supplementation should be closely monitored in this age group and immediately discontinued at the first sign of cognitive decline. In addition, older adults usually have lower levels of calcium-binding plasma proteins. Without these proteins, unbound calcium ions become neurotoxic. The obvious solution is to replace the missing binding proteins with a safe alternative. Such an alternative is provided by a natural supplement supplying related and substitute proteins extracted from jellyfish.